Child Visitation | Farias Family Law, P.C. Child visitation is usually granted to the “non-custodial” parent – the parent that does not have physical custody of the child. Visitation schedules vary depending on the facts and circumstances of each case: what are the parents’ work schedules, how far apart do they live, who is the primary caretaker, where does the child attend school, what activities are the child involved in? The court aims to strike a balance between continuity/routine for the children and maintaining a healthy relationship with each parent. A somewhat common visitation schedule for children that are in school and have a clear primary caretaker: Erika is the primary caretaker, the father, Jeff, works long hours during the week. Jeff has the children every other weekend and for one or two “dinner” visits during the week, maybe 4 – 7 p.m. The parties share the children on holidays, birthdays, February, and April vacations. The parents may each have extended time with the children during the summer. However, every case is different, and you may be entitled to more or less time depending on the circumstances and specific facts of your case. Child support is intricately tied to visitation: typically, the more time a child spends with a parent, the greater the chances that parent will receive the maximum amount of child support. Support may be lower when the child spends between one third and half of the time with the non-custodial parent, and when the time with the child is split equally, custody is “shared,” completely changing the child support calculation. Therefore, it’s not uncommon for parents to fight over time with the child for financial reasons. Whatever the financial circumstances, it’s an absolute no-no to use the children for financial leverage. If the parent paying child support is in arrears, do not withhold visitation as punishment or incentive. The court will frown upon that conduct and may even punish you. It may make sense to take legal action to address the arrears, but using visitation as a tool on this issue is a big mistake. Father, Todd is behind on child support payments a couple of weeks. Mother, Nancy was previously flexible with visitation for father, but because there are child support arrears, no longer allows the children to spend extra time with father. Although the father is in contempt, mother’s conduct may earn her a reprimand from the judge or worse. It’s critical to obtain a favorable visitation schedule at the outset of your case because of absent a significant change in circumstance, it’s difficult to convince a judge to make a change later. Therefore, when you believe you’re heading for a split, it’s important to seek advice on how to proceed. If the parties end up in court on a visitation issue, one of the first questions a judge will ask is: what has the arrangement been for the child? 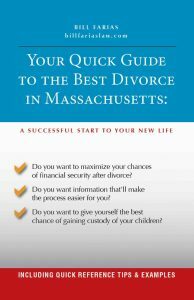 Before you create an arrangement that will serve as a precedent in court, it’s advisable to obtain guidance from an experienced divorce lawyer.